If you’re after some stylish trainers that aren’t ridiculously overpriced, shop from our range of S Oliver shoes. The price of a good pair of trainers seems to have gone through the roof in recent years, but you shouldn’t have to pay over the odds to get a good pair of sturdy trainers that look fantastic. 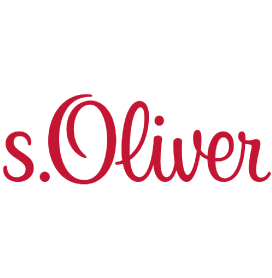 We love to find top-notch shoes that won’t break the bank and S Oliver certainly deliver on this. If you like trainers that embody classic design and timeless style, this range of canvas lace-up and slip-on shoes is right up your street. With designs for both women and men, S Oliver trainers are the perfect choice for completing your outfit. For gents, their classic canvas men’s trainers are perfect for completing casual looks whatever the season. Pair them with some well-fitting jeans for effortless, simple style. Our S Oliver women’s trainers are also a fantastic addition to any wardrobe. With great detailing and beautiful colourways, these are a fantastic way to add a bit of a street style into your wardrobe for a very good price. A stylish pair of shoes doesn’t have to cost the world. At Shoe Zone, we’re always dedicated to bringing our customers excellent shoes for excellent prices. All of our products come available with free & fast delivery within 2-4 working days. If you change your mind, you can return your shoes for free at any of our 500 UK branches. 5 products from £19.99 to £29.99.